Celiac disease is an autoimmune disorder, which means the body “attacks itself”, rather than attacking a foreign substance as in an allergy. Celiac disease mainly affects the small intestine, specifically the upper third of the small intestine, called the duodenum. The medical treatment for celiac disease consists of life-long avoidance of gluten containing foods. 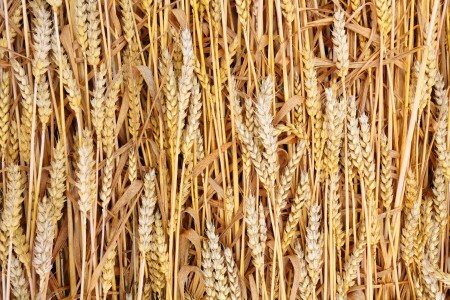 The word gluten is a general name to describe the storage proteins, or prolamins, found in wheat, rye, barley, and derivatives of these grains. When people with celiac disease eat foods containing gluten, their immune system responds by damaging the small intestine. Specifically, villi (small finger-like protrusions), which are found on the lining of the small intestine, become damaged. Without villi, a person is unable to absorb nutrients, and becomes malnourished, regardless of the quantity of food eaten. Celiac disease can present with as many as 300 symptoms or with no symptoms at all. Strictly adhering to the gluten-free diet will stop symptoms including bloating, diarrhea, weight loss, fatigue, and delayed growth in children and begin the healing process. Improvements can begin within days of starting the diet, and research has found that, in children, the small intestine is usually completely healed within 12-18 months. See more information about celiac disease and how it affects our body. The first step in managing the gluten-free diet is to understand which foods contain wheat, rye, and barley so they can be eliminated from the diet, and intestinal healing can begin. It may seem overwhelming at first as wheat, rye and barley are common food ingredients, however there are variety of foods that are naturally gluten-free. Want some inspiration? View FEED's Gluten-Free recipe section. Can anyone be Gluten-Free? Is Gluten-free a Healthier Diet? Technically, anyone can be gluten-free, and healthy. HOWEVER, it is vitally important to ensure your diet free of gluten contains important nutrients that whole wheat provides including protein, fiber, iron, B vitamins, and magnesium. Many alternative products (bread, crackers, pasta) are free of gluten, but also are free of important nutrients that wheat provides. Though there are many nutrient-dense gluten-free grains/starches including quinoa, amaranth, buckwheat, among others, many are lured to tasty gluten-free alternatives containing processed corn, and rice. These products are typically full of refined carbohydrates, which are low in fiber, preventing us from feeling satisfied and may cause us to overeat! Whether you have celiac disease, or choose to be on a gluten-free diet, it is very important to choose a diet rich in fresh fruits, vegetables, lean proteins, low-fat dairy, and fiber-filled starches. Are you or someone you know affected by celiac disease? Contact FEED today to schedule an in-home visit to make sure you are on the right track!